This time last year, our family made a huge leap of faith into a new adventure when we decided to leave public school and homeschool our daughter. Our reasons for doing so were many, but religion, honestly, wasn’t one of them. As time goes by, however, we have discovered that our faith and the traditions of the Episcopal church have become amazing assets to our studies at home. The church has offered us great learning tools, free classes, and given my daughter many new learning experiences that she didn’t get in public school. Looking at our services and traditions through the eyes of an educator instead of a parishioner, I discovered many ways our church offers children learning opportunities–opportunities any child can use, not just those that homeschool. Take simple poetry and memorization projects for instance. We practice these each Sunday as a congregation. The Lord’s Prayer, and The Nicene Creed for older children, offer great chances for memorization and recitation. These prayers and creeds not only give children a project to work on, but also concepts that can spark hundreds of conversations. The Psalms too offer up a great lesson in poetry, a literary genre my daughter has completely fallen in love with this school year. As a newly minted homeschooling parent, I’ve also had to find new extra-curricular activities we can take part in. Our church life has proved to be a gold mine for fun social experiences. Children’s Choir offers free music class and begins the foundation of music theory. Sunday School offers art class and language arts potential with the reading and exploration of Bible stories. Parish events offer the chance to mingle with people of all ages and activities to plan or treats to make. I have come to realize, especially as more and more ‘extras’ get cut from public school budgets, that our churches can be an amazing supplement to our children’s learning and social lives. And it’s all FREE! This past Lent brought this concept into focus for me especially, because we were able to participate in it in ways we never had before. Since homeschooling gives us a flexible schooling schedule, my kids and I were able to attend Ash Wednesday and Good Friday services during the day, and use these services to have some great conversations as well as art projects. My daughter started a little Lenten journal where she recorded the meaning of each Holy Day and drew a scene to go with it. This project had two goals in my mind: the traditional ‘school’ reason was to practice writing, storytelling, and drawing. The second goal was to make her pause and reflect on the story of Jesus’ ministry, crucifixion and resurrection. It became an immersive experience like never before, as our faith and learning came together to compliment each other wonderfully. As this first homeschool year comes to a close, I am excited to delve into new projects inspired by our faith as we approach Pentecost, special autumn feast days and Advent. The rhythm of our church year has turned out to be a wonderful rhythm for our learning life as well, offering us a constant supply of things to learn and participate in. And while Episcopalians aren’t exactly known for our homeschool groups (anybody else out there? anyone?) people are choosing to homeschool these days for so many reasons. If you find yourself considering this leap into home learning, know that your faith community is there to support you, and help your child learn and grow outside of the kitchen table. Even with homeschooling, you still need ‘a village’ to help your child grow. The village of the Episcopal Church, with its amazing traditions, appreciation of learning, and great opportunities to be part of a meaningful community, will offer you and your child fantastic support in your learning journey. Are you an Episcopal homeschooler? I’d love to hear about how you use your faith in your learning life! I am an Epscopalian unschooler and the seasons of the church year have always been such a natural part of our lives. Our church also has a wonderful choir program which was my children’s first musical education. Now in high school, my daughter is immersed in community musical theater and headed for a theater major when she goes to college, and my son composes his own piano music. The songs my kids learned in choir over the years are still alive in our family. We start prayer time with them and sing them in the car. 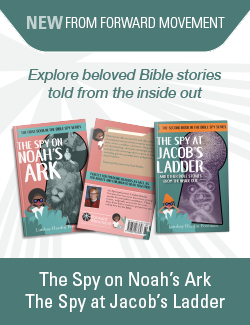 Listening to and talking about Bible stories was their first introduction to the elements of a story and learning about saints adds something personal to history lessons. They did a ton of arts and crafts at church as well and they still serve in ministry with a variety of age. groups. Being available during the day makes opportunities available. My daughter volunteers with a refugee program at our church that happens during the day. I love homeschooling and I agree that the poetry and beautiful flow of the Episcopal church fits very well with our chosen way of educating our children. Good luck to you on your homeschooling journey! PS MY church is large but there are at least four families in my church that do some sort of homeschooling. These are all fantastic ideas, Deborah! And I am still very much in the learning stage with all this. Moms like you inspire me! Do you still have to pay taxes fur the public school system when you homeschool? Yep! And I am happy to! I love this. Well done Heather and daughter. I love this. I adore how you have embraced it. You are both learning so much more together and with each other. You found me! I, too, am an Episcopalian homeschooler! I love connecting with other Episcopalians with this common thread! We are few and far between, aren’t we!? My boys are all part of our church’s Chorister program which follows the RSCM teachings, and they are thriving in music because of this. We love being able to work school around our faith and not the other way around… Best of both worlds, if you ask me! Thank you for this post – absolutely made my day! Well done and thank you for sharing! My wife and I are both Priests in The Episcopal Church and we homeschool our four children. We have been doing so for four years now and have learned a great deal about ourselves and our children. My wife is the lead in our efforts and she has done an incredible job. Our journey has been one of constant discovery and we are grateful for those who have shared their experience and wisdom with us along the path. If we can offer support or encouragement, please do not hesitate to reach out! I’m another Episcopal homeschooler! 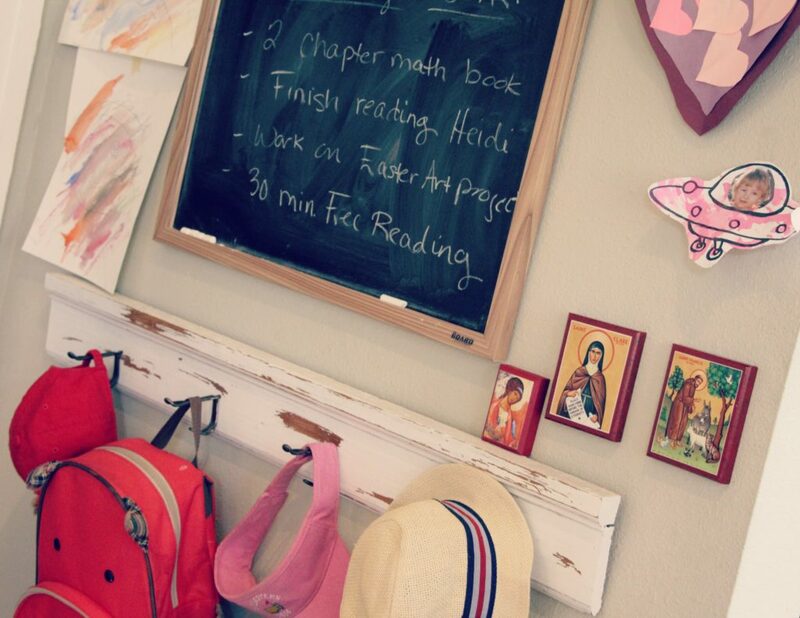 I never realized just how much our liturgy can offer our homeschool, and I’m getting some wonderful ideas. Thank you for this! Hello! I am a homeschooler as well, but am new to the Episcopal tradition. I was wondering if we could start a FB group and share ideas? I am a little overwhelmed by how much there is to learn, and I’d love to see what others are doing to incorporate the faith. I’m not sure Heather is still homeschooling, but I think a Facebook group is a great idea. Would you like to write a post for Grow Christians about starting one? That would probably have a good reach to interested parties. Sure. What do I need to include in the post? Would it be easier to send me further info through my email? Oh just saw where you might be the one to start one and write an article! That sounds wonderful! I think this sounds like a great idea! Ive been mulling over this sort of thing lately myself! Let me get something created and I will share the link! Woot, woot! Post more info when you are ready! I’m already an admin for a FB page (non-homeschool related), so I’m glad someone else is inspired to start one! I’m in Milford, Ohio, near Cincinnati. I think a Facebook group for Episcopalian Homeschoolers is a great idea. i would definitely join and I have a few friends that might be interested. Just post the link here when you make one – whomever makes one – because this post still draws readers! Yes, following this! We’re going to start small homeschooling collective in the fall (K) with a couple other families. We’re in Bloomington, IN. So fantastic so see this! I wonder if any of us are close to each other (geographically)? This site has been amazing for my homeschool. Thank you Grow Christians! Hi Katherine! I’m in Milford, OH, near Cincinnati. This is fantastic! Will definitely join, and I’m in the Nashville area. Thanks! I am a newish Episcopalian and my 1st grader has been doing virtual school. We’re hoping to switch to a more traditional style for next year. I would love to be a part of a Facebook group! Has anyone started it yet? Hi Heather! I do not use any social media (this is actually the first place I’ve ever commented on anything at all), but I’d love to connect with y’all. I went to the facebook page and I clicked “join group” under my “pin name” and didn’t realize that it would send a request-oops! I’m so glad to find this! We are baby Episcopalians after leaving the evangelical/non-denomination church. We are the only homeschoolers and definitely feel like we areally a little odd when explaining that to people. I have sent a request via Facebook to join Little Canterbury but I am still listed as pending. I am looking forward to being part of the group. Yesterday Heather approved all pending requests to join the group. Thanks for letting us know that you were left in FB Group Limbo!